Home/Community, Pride Events/Laugh. Out. Proud. Comedy Night on 8/23! Laugh. Out. Proud. Comedy Night on 8/23! 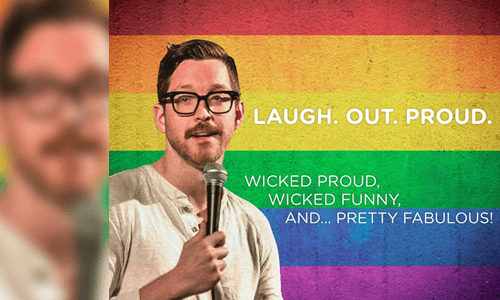 Join Laugh Boston, Boston Pride and some of Boston’s sharpest comics (yeah, we said Boston a lot there—but Boston is great, duh!) on Sunday, August 23rd at 8pm. Tickets are $15. This show features Will Smalley – one of New England’s most hilarious comedians. Will has played our region’s top clubs, venues and colleges—and recently performed in the 7th Annual Women In Comedy Festival. Show line up: Emily Ruskowski and Jenny Chalikian! Recently named Boston’s Best Comedy Club by The Improper Bostonian, Laugh Boston is an upscale comedy club located in the lively Seaport District. Laugh Boston features comedy’s top national headliners and hilarious local acts. The club is located in the Westin Waterfront Hotel next to the Boston Convention and Exhibition Center. The club has a full bar (hooray for cocktails!) and a light fare, quick-serve menu.